Transformational investment totalling 190 million euros in transport, waste, energy efficiency, culture and urban rehabilitation schemes across Athens has started. The citywide investment initiative will create jobs, unlock urban regeneration and ensure that climate risks can be better managed in the Greek capital in the next years. The project consists of a framework loan to co-finance selected multi-sector urban schemes aiming at enhancing the resilience of Athens and contributing to its integrated development (Integrated Territorial Investment - ITI - Plan). The project will bring about the significant improvement in the quality of life for the citizens of Athens and support the municipality's strategy for growth. “As the largest urban area in Greece and one of the most populated regions of Europe Athens faces diverse investment needs. This new financing agreement will support priority projects that include upgrading historic public buildings, improving education and health facilities and addressing challenges of a changing climate. 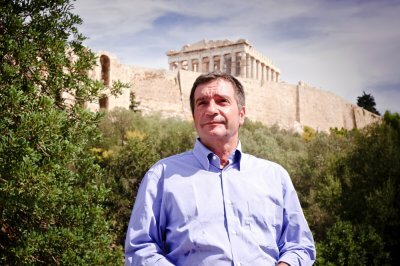 Technical experience gained from working with cities around the world will maximise the impact of new investment and ensure benefits for future generations living in this city.” said George Kaminis, Mayor of Athens.